The Internet offers many resources to help you understand your pet’s health. The problem with finding information online is that many resources are either outdated or not credible. Although the World Wide Web is a great resource, it should never replace the information you receive from your veterinarian. Your doctor can more accurately assess your pet’s health by completing an in-person physical exam, reviewing the medical history, checking lab work and having an in-depth conversation with you about any changes in behavior, diet, exercise, and so on. Know the early warning signs and consult with us early, while treatment is more effective and less costly. Many owners believe that feeding their pets a specific type of diet can prevent cancer, or that feeding a specific diet can cause cancer. While it’s true that some ingredients are healthier than others, the idea that a particular diet causes or prevents cancer is false, as is the concept that feeding one specific diet will by itself change the outcome of a pet diagnosed with cancer. All sugars are carbohydrates and all carbohydrates, whether from bread or donuts, are broken down into glucose and fructose during the process of digestion. All cells, whether healthy or cancerous, use glucose as a source of energy. Tumor cells are usually replicating at a faster rate than healthy cells, therefore they have a higher metabolic demand for fuel. However, sugar doesn’t make cancer grow faster. Giving more sugar to cancer cells doesn’t speed their growth. Likewise, depriving cancer cells of sugar doesn’t slow their growth. The myth that vaccines cause all sorts of cancer types in dogs and cats is false. While there is an association between certain vaccines that cause chronic inflammation and the development of sarcoma tumors in certain cats, this is the only example of a relationship between vaccination and cancer development in companion animals. Please discuss any concerns you have about vaccines with us. Many owners are reluctant to pursue chemotherapy due to the misconception that the treatments offered will impart significant side effects in their pets. Less than 25 percent of pets treated with chemotherapy will experience side effects from treatment, and when those effects do occur, they are typically mild and something owners can treat at home. The chance of a severe reaction that would require a visit to your veterinarian for treatment, like intractable vomiting and/or diarrhea, or in appetence for longer than one day, would be less than five percent. While it is true that anti-cancer treatments such as chemotherapy, radiation therapy, or surgery can carry expensive tabs, protocols vary and veterinarians will work with pet owners and their financial interests to devise optimal therapeutic plans. We frequently recommend performing staging tests in order to examine for spread of a particular tumor or cancer type. The exact tests will depend on the diagnosis, but can include bloodwork, urinalysis, testing regional lymph nodes and imaging tests (e.g. radiographs/x-rays, ultrasounds, CT scans or MRI). The results of such tests are important, as they will influence treatment recommendations as well as a pet’s overall prognosis. While it is true that dogs with widespread disease are more likely to be ill, not every dog with regional spread of disease (e.g., to a local lymph node) will have any adverse signs. The recommendations will be different for example with a dog with spread of a mast cell tumor versus one with it confined only to the skin. There is no such test. There are many different tests that will give clues about the presence of cancer. This would include routine Early Detection Profiles and Comprehensive Lab Profiles, but they don’t pick up every type of cancer. Certain specific types of cancer do have blood tests that allow detection, but many cancer types require a biopsy for diagnosis. Veterinarians can recommend treatments known to be effective in treating a wide variety of cancers in animals. Some are cured with surgery and others are managed with medication. 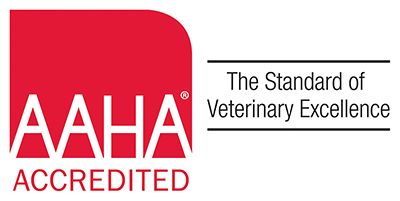 Veterinarians are the most equipped to evaluate other suggestions you may have received to determine whether they have any scientific merit, or, conversely, whether they could be an inappropriate use of your time and finances. Facing a diagnosis of cancer in your pet is devastating, but not necessarily fatal. It’s natural to want to arm yourself with accurate information to make educated decisions about your animal’s care. There’s a staggering amount of information on the internet for owners to sift through. In addition to researching topics on your own, seeking a consultation with a veterinarian who will work alongside you is your pet’s best chance for a positive outcome.